Engadget reports China has constructed a homegrown supercomputer that delivers a raw computing performance of one petaflops. The system uses 8,700 ShenWei SW1600 processors. 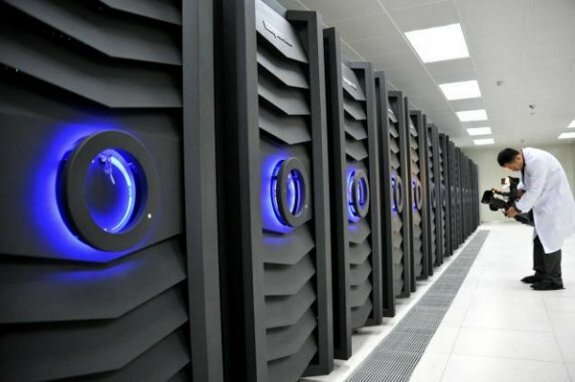 The Sunway BlueLight MPP, which was installed at the National Supercomputer Center in Jinan this September, is powered by 8,700 ShenWei SW1600 CPUs -- the homegrown chips that come out of Shanghai. The Sunway's one petaflop performance isn't enough to make it the new king of the hill, but it should get it into the top 20. More impressively, the machine only consumes about one megawatt of electricity -- roughly a quarter of the 2.5 petaflop Tianhe-1A.